The new spreadable vegetable alternative, made with sprouted brown rice. Let yourself be surprised by our new fresh creamy and spreadable vegetable alternative. Cremoso has a soft taste with a hint of sourness, that makes it perfect for both savoury and sweet preparations. 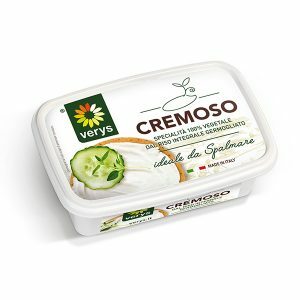 Cremoso, like all our products, is a fresh vegetable product without preservatives and dyes. You can find it in supermarket refrigeration departments or in corners dedicated to fresh vegan products. During its production no chemical substances or synthetic molecules are used and the main ingredients are certified by the European Organic Agriculture Regulation. It is suitable for anyone, adults and children and those who are intolerant to milk, lactose, gluten and soy. Due to its natural soft texture it is also recommended for those with chewing problems, or to prepare baby food. It is produced by the sprouting of whole rice, which completely supplies its important nutrients such as fibers and numerous amino acids. 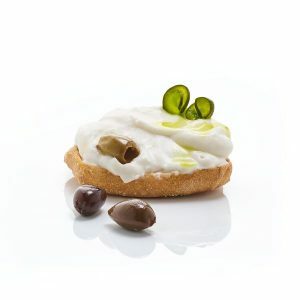 Thanks to its creamy texture you can spread it on your sandwiches, bruschettas or toasts. You can also taste it taken directly from its tray with a breadstick during the happy hour. It goes well with fruits like blueberries, strawberries and raspberries or with nuts like walnuts, pistachios, hazelnuts and almonds. If you like crisp vegetables, you can try it with fennel, celery, radishes and carrots. Thanks to its neutral flavor, it is also suitable for the preparation of desserts such as cheesecakes or creamy desserts. Children like it as a seasoning for pasta, adding a little olive oil and salt! Once opened, it is best to be consumed within few days as a normal fresh product.